A unique principal named Mr. Bundy runs PS 88 in this silly, fun-to-read Aladdin QUIX chapter book that’s perfect for emerging readers! 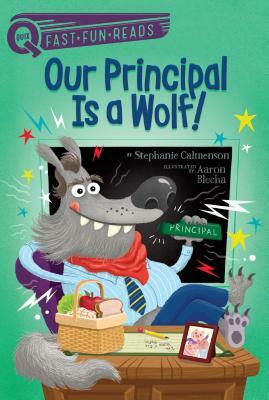 In this Mr. Bundy (mis)adventure, the Big Bad Wolf has gobbled up Mr. Bundy and his assistant principal Ms. Moore! Will the kids of PS 88 outsmart the ravenous wolf to get Mr. Bundy back?